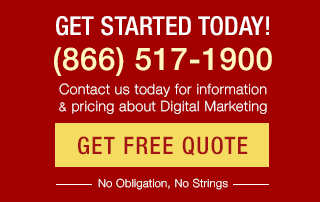 Bruce Clay, Inc. is a certified Google Partner and Bing Ads Accredited Professional organization. We use education as a tool to further the business goals of our SEM services clients, and with the AdWords 101 series, you become familiar with a platform you can use to reach shoppers, intent-driven mobile device users, and people looking for your businesses online. 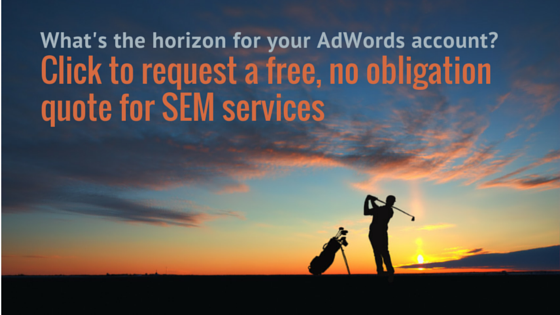 New to SEM and AdWords? Welcome to AdWords 101 from Bruce Clay, Inc., resources to introduce you to search advertising tools. With AdWords 101 information, you can start search advertising yourself or talk to your SEM manager with basic knowledge as background. 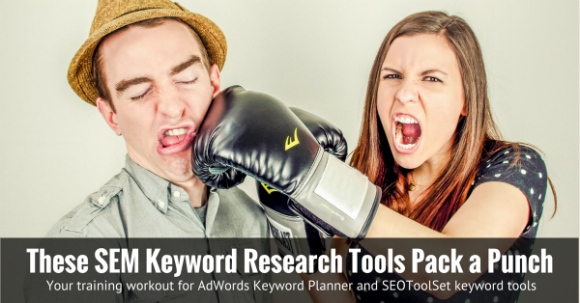 This post dives into two powerful keyword research tools: the Google AdWords Keyword Planner and the SEOToolSet Keyword Suggestions tool. SEMs have come to love these tools because they get to the heart of search terms that people may — or may not, as your research may show — be using to look for you and your competitors. Researching keywords if you’re starting from square one: If you’re starting keyword selection with a mostly blank slate, get keyword suggestions based on seed keywords. Info that helps you decide if it’s a good keyword includes competitiveness, popularity of search use and a search engine assigned category. Vetting keywords by checking to see if they’re actually used: If you want to vet a list of PPC keywords, check to see how much people search for them and get trending data. Expanding your keyword list with new, relevant keywords: If you already have a list of PPC keywords, you may want to expand your list with opportunities you’re not currently aware of. You can use your SEO keywords to develop and inform your PPC keywords, as well. Google Keyword Planner is integrated with AdWords so as you identify keywords you want to add to your Google paid search campaign, you can add them with a click. 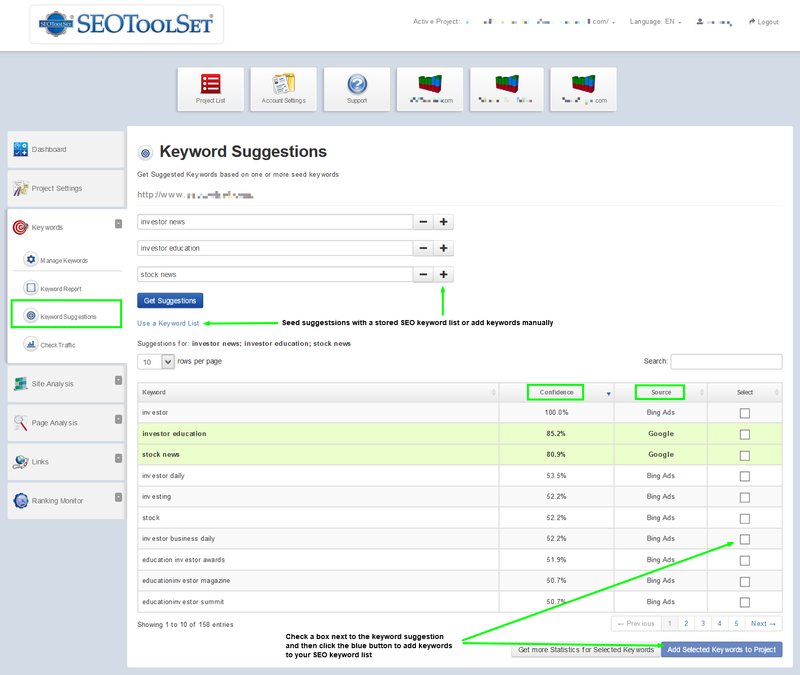 SEOToolSet Keyword Suggestions tool is part of a larger suite of SEO analysis tools. As you identify keywords you want to target with paid search, you can add keywords to an organic ranking monitoring project supporting paid-organic search marketing synergy. While both powerful, each has a specialty to keep in mind as you’re reaching for a keyword research tool. 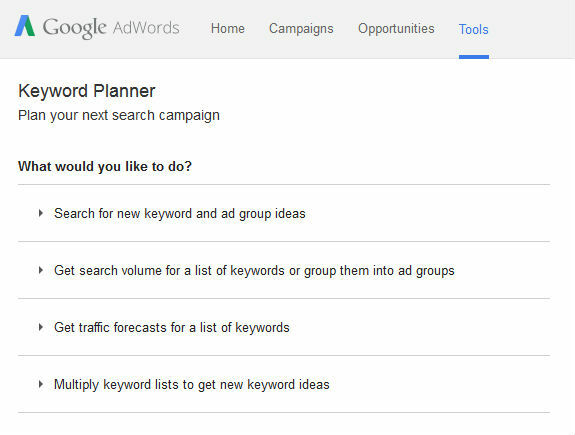 The Google AdWords help article for the Keyword Planner is a good starter resource for how to use the tool. And here we present the tool as we do when introducing or educating clients. As a prerequisite to using the tool, you need an active AdWords account. When you first log in to the Google Keyword Planner Tool, you’re presented with four options. Here we’ll break down your options and explain how to use and what you get from each feature. Where you start using the AdWords Keyword Planner depends on where you want to go. Location targeting: Options to get data by country, city or region, and by default, if you’re in the U.S. the tool will report on the U.S.
What you get after you plug in seed keywords and set your filters is a list of keyword ideas and ad group ideas with historical statistics. 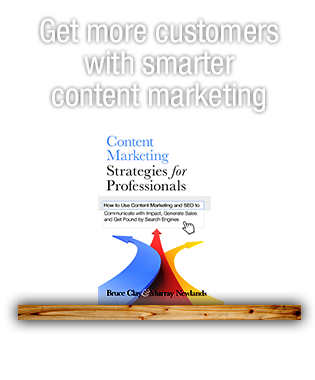 Historical data reported here includes average monthly searches, competitiveness and cost, which you can use to decide if you’d like to add that keyword or ad group to your plan. If you think you might want to add a keyword or group listed, click the arrow next to it to see an estimated required budget for these new ads. 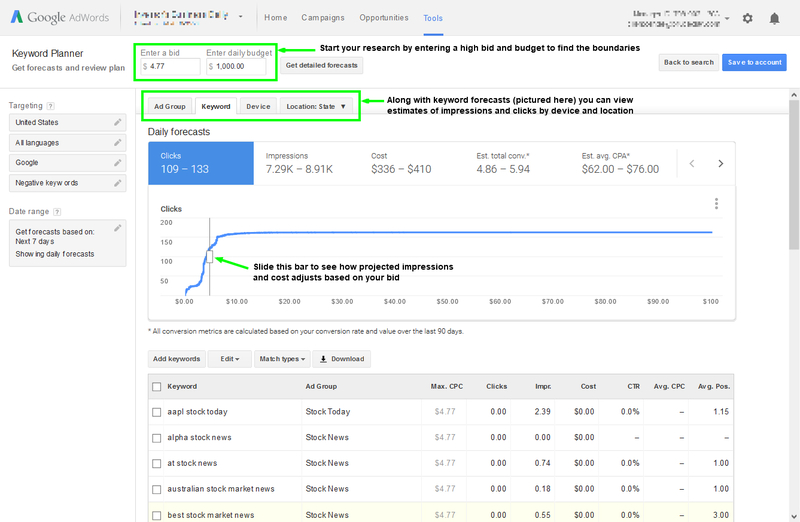 You’ll even be able to see how many clicks and impressions you can expect for that keyword based on the budget you set. The new keywords and ad groups you get by plugging in some starter keywords and landing pages delivers the information you need, from impressions to cost, to decide if the keyword is a good fit for your AdWords campaigns. Scenario: You have a list of keywords and you want to find out how popular they are. If you have a list of keywords you think are good candidates for SEM, but want to know what their search activity is like, this is the option to choose. This function provides users with search volume for your submitted keywords with your specified targeting. You get the same options for inputting seed keywords (type them in one by one or upload a file) and you get the same targeting options (location, network and negative keywords) and date range options. Your resulting report has a chart section at the top and a table with two tabs at the bottom. 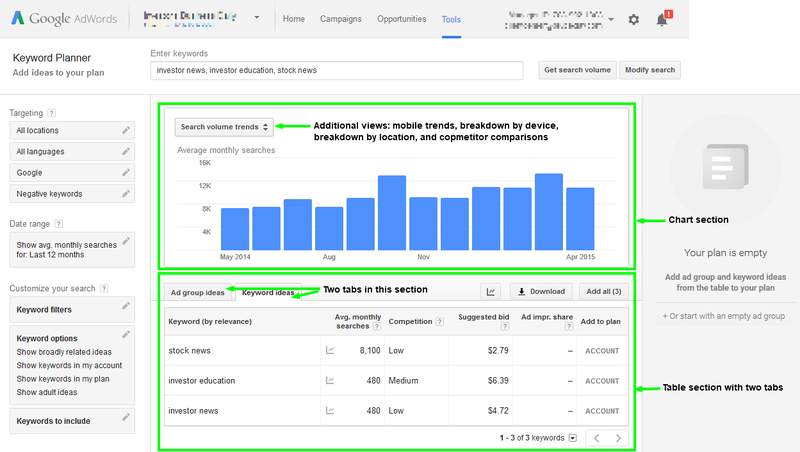 To see if and when keywords are searched for in order to judge if keywords are good candidates for your ads, view a graph of search volume by month. To see if keywords get mobile traffic, view a comparison of searches on mobile devices compared to the total monthly search volume. To understand device targeting opportunities, a breakdown by device shows you searches coming from computers, tablets and mobile devices. To understand audience targeting opportunities, view a breakdown of where searchers are located. To identify opportunities where your competitors are showing up and you’re not, see the charts comparing your ad impression share with market leader or competitor domains. With this feature you get help with grouping your ideas into recommended ad groups and data that shows you opportunities based on searches from previous months, where searches are coming from, and how often your ads are showing up so you can find opportunities for improvement. Scenario: You want to learn how well a keyword might perform in the future. Use this function to help establish and plan your budget. You get click and cost estimates or impression estimates that reflect your targeting, bid, and daily budget entered. Pro tip: Start by entering a bid and a budget that’s high just to get a sense of the boundaries of the keywords you’re researching. You want to know the high end of the bid spectrum that would get you a satisfactory average position for these keywords you’re researching. The data displays as an interactive graph where you can see how your targeting, bid and budget interact to get you clicks and impressions. As you move the vertical slider along the X axis, you can see how many clicks and impressions you can expect for a projected cost. You can view forecasts for clicks, impressions and cost by device and by location by choosing the “Daily forecasts” tab you want to view. By viewing the projected views and clicks segmented by device and location, you might find new locations to target or find a possible increase among specific devices. Are your selection of keywords being searched on the desired device or in the identified location? This will inform your keyword selection, not to mention your budget, and audience and device targeting. Scenario: Get new keyword ideas by combining lists of keywords. Use this feature when you’re expanding your keyword list with new, relevant keywords. You may already have a list of SEO or PPC keywords, however researching and identifying keywords is an ongoing task. Combining keywords may unveil new opportunities. With this tool, you can enter two list of keywords and, in return, you receive one list. This list has variations of the submitted terms, many longer-tail combination keyword strings, and the historical data you need to evaluate a keyword’s viability. At its core, the Keyword Suggestions tool in SEOToolSet Pro takes user-provided seed keywords and generates more ideas for keywords. The source of its suggestions are the search engines themselves, care of APIs from Bing, Bing Ads and Google. An SEM analyst gets a rich and rounded view of keyword categories and trends as search engines see them. 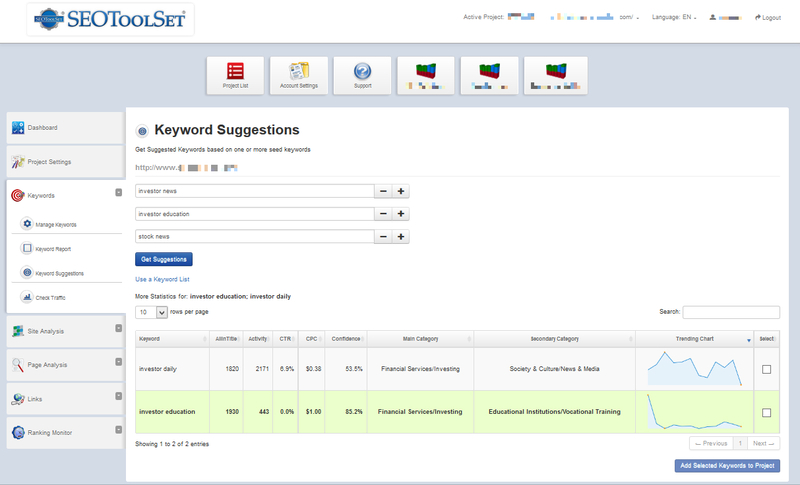 The tool also supports shared keyword intelligence and strategy between SEM and SEO. In other words, the SEOToolSet, enables SEO and SEM to inform and amplify one another. Seed your paid search keyword analysis with the stored and monitored keyword list of your SEO project. If you’re an online marketer wearing both PPC and SEO hats, you’ll get potential paid search keywords and you’ll have the ability to add keyword suggestions to your SEO project list right from the research report. Find this tool after logging into your SEOToolSet Pro account, then selecting the Keyword Suggestions tool from the “Keywords” area of the left navigation. If you’re not an SEOToolSet user, sign up for SEOToolSet Pro for $89 a month or the free SEOToolSet Lite. Note that the Keyword Suggestions tool described here is available in the Pro tools. 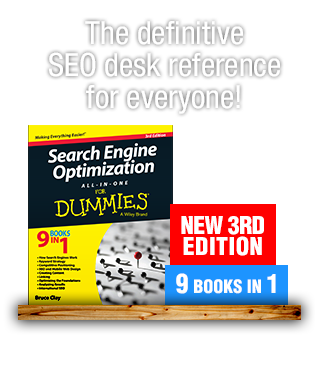 A free version is embedded at the end of this post and available on our free SEO tools page. To seed the Keyword Suggestions tool, add keywords one at a time or via a pre-populated list you’ve entered into your project. The tool reports back with a list of potential keywords and data to help in your evaluation. As seen below, you see the source of that keyword suggestion (whether the Google, Bing or Bing Ads keyword APIs), and a score for how related the suggestion is to your seed keywords. Don’t let the name SEOToolSet fool you. The Keyword Suggestions tool presents a rounded view of potential PPC keywords drawn from and categorized by multiple search engines, presented with trending data and confidence scores. SEOToolSet aids not only organic optimization efforts, but also your research-intensive paid search marketing tasks. When it comes to finding new opportunities and optimizing an AdWords campaign, take the time to explore the features that the Keyword Planner has to offer and expand your keyword research with the SEOToolSet. Whether you are reviewing current keywords or looking for ideas on what keywords to select, these keyword tools provide you with the data you need to confidently move your campaigns forward. Great Post!! Google adwords provide keyword planner. It is a free tool and this tool is my favorite. I usually choose keywords with medium and low competition and those with high search rates in the targeted region. Didnt knew the tool SEOToolSet Pro but we are going to test it. Thanks! Google keyword planner has always been my savior. However there are times when I have to ahead with gut feel as some of the generic keywords aren’t listed down in the tool when it comes to my niche. This a great and very useful tool! Great Keyword planner tools post in blog. @Harekrishna – you’re absolutely right. Isn’t the tool great? Hope you found this article helpful. @Nandima Senaratne – I am so happy to hear that you found this article helpful. Let me know if you have any questions. Diana, Useful information shared. I am very happy to read this post about how Using Keyword Research Tool. Thanks for giving us nice info. Fantastic walk-through. I appreciate this post. Thank you! keyword planner tool give a list of keywords and search volume for your specified targeting keywords. this planner tool also give you Average monthly searches, Suggested bid, Ad impression etc. Great article! Just a heads up, your link “sign up for SEOToolSet Pro” links to a Mr Rogers article lol? You might want to fix that.